Today’s generation is full of a bunch of little digital natives. Therefore, today’s classrooms and learning tools need to evolve and change to better appeal to and engage these students. Today’s classrooms are moving away the traditional lecture style classroom setting and educators are now focusing in on engaging and empowering their students by utilizing mobile device technology in the classroom as a valuable learning tool. Mobile devices like iPads in the classroom help give today’s tech-savvy generation has the ability to experience things like gaming, blogging, reading eBooks, and even taking virtual field trips right from the comfort of their classrooms. Mobile device technology in the classroom has made learning more interesting and exciting than ever before! Of course the students love using mobile devices in the classroom and educators can certainly see the incredible benefits. So, the question isn’t, should we bring these devices onto our school wireless network, it’s how? Schools all over the country are bringing the newest mobile classroom technology onto their school wireless networks via programs like 1-to-1 or BYOD. There are pros and cons to both BYOD and 1-to-1 initiatives. Here’s a list of some of the pros and cons of each strategy to help guide you toward the right decision for your school. The majority of teachers and students already own the devices necessary for BYOD and for the student that can’t afford them, school can start a device leasing program. With increasing budget cuts, the cost savings of implementing BYOD make this strategy very popular. Students are already familiar and comfortable using their own technology so they can focus on actually learning with them than learning how to use the device. Technology may become a status symbol for students causing the divide between the haves and have not’s to be even greater. Applications may not be universal across all platforms. Students may not to mix in school work on their personal mobile devices or parents may not want to pay for mobile devices for use in school. Disparate equipment likely causes more equipment issues than having school supplied devices that are all the same. Uniform integration of technology in every class eliminates digital inequality. The school won’t have to worry about who doesn’t and who does have the right devices. Since everyone has the same mobile device and is on the same platform teachers know whatever apps they use on their device will work on their student’s devices. Support tickets will definitely be easier to clear with everyone having the same device. With all the cash-strapped schools nationwide, it will be difficult for them to find the funding to support this method. The 1-to-1 model will require both teacher and student training of the device the school decides to use. With 1-to-1 there are long-term maintenance costs, but with BYOD the students would be responsible for their own maintenance on their mobile devices. As you can see, there are pros and cons to both BYOD and 1-to-1. Some of these issues may be more important to some schools than others. The bottom line is there’s no one-size-fits-all method to bringing mobile devices on school wireless networks. Each school must weigh out the pros and cons of both strategies and factor in all the possible technological and logistical issues before making a decision. No matter the approach, it’s important to keep education relevant and effective. 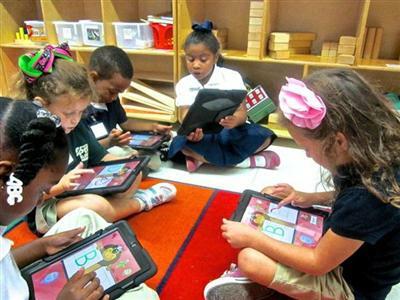 The only way to do so in today’s society is integrate technology into the classroom. Schools can execute a successful program with either solution as long as they plan ahead. If your school is considering implementing a 1:1 initiative or BYOD program the first step is always making sure your school wireless network is equipped to handle all these mobile devices securely and successfully. That’s where we can help. At SecurEdge we are experts in designing and deploying the most secure and efficient school wireless networks. 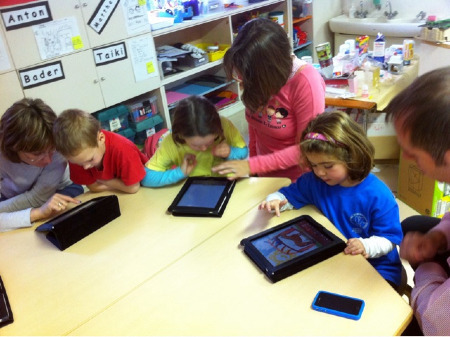 We have helped schools all over the country with both BYOD and 1-to-1. Feel free to contact us here with any questions or for a free consultation. Also, check out our free eBook on How to Prepare for iPads in the Classroom. Good luck!